Celebrate our Presidents - With Food! By GlutenTox on February 17, 2017 in Holiday tips, Misc. Presidents’ Day is right around the corner! Originally set aside as the day to celebrate Washington’s birthday, the third Monday in February has come to represent a celebration of all the Presidents. Rather than spend the day at the mall hunting down Presidents’ Day bargains, why not spend the day exploring our history? And what better way to do it than with food! Since most schools are closed, this is a great activity for you and your children. 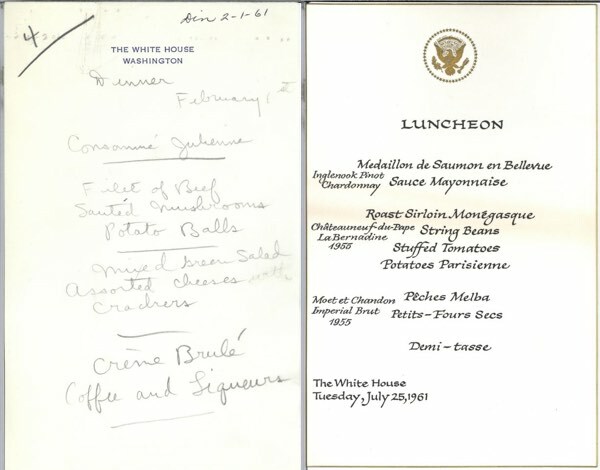 With a little bit of digging, you can find sources for everything from menus for state dinners to what types of foods were traditionally served for visiting dignitaries. If you need to give your gluten-free or allergen-free kids a project, have them figure out how to interpret one of these historic menus in a safely gluten- or allergen-free way. By some accounts, George Washington liked plain, simple foods and was inclined to meat and vegetables, with just a glass of wine. Washington was joined in his love of simple and hearty foods by many of our presidents, from Theodore Roosevelt to Jimmy Carter. The Food Timeline has a wealth of information about the everyday preferences of all of our presidents, and includes recipes as well as additional sources for full menu ideas. Did you know that several presidents have suffered from food allergies? Woodrow Wilson, Grover Cleveland, Calvin Coolidge and Lyndon Johnson all had food restrictions due to their allergies. Of course, allergies affect more than the Presidents; they can also affect family members! Malia Obama has a peanut allergy, which influenced the menus at the White House considerably. There has been speculation over the last few years that John F. Kennedy may have suffered from undiagnosed Celiac Disease. According to Food Timeline, Kennedy’s daily menu consisted of traditional breakfasts, soup for lunch, and hearty fare for dinner. The formal dinners is where you really see the cosmopolitan tastes of the Presidential table. 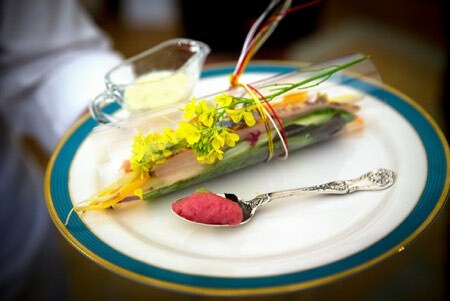 State dinners were elaborate, intricate affairs, dominated by French cuisine. The handwritten menu on the left only contains one item that would need to be replaced: crackers. While most of the formal menu on the right would be easy to adapt for a gluten-free menu, one notable dish would definitely require some research: Petit Fours Sec. This recipe from Eddie Van Damme looks like it would be a great replacement! There is a lot of material to explore, and who knows? Maybe you’ll find inspiration for some new menu items of your own! Enjoy!